Today was one of those very stormy spring days. Dark and gloomy with thunder and lightening that kept my 3 year old’s bottom on my lap and hands over her ears. 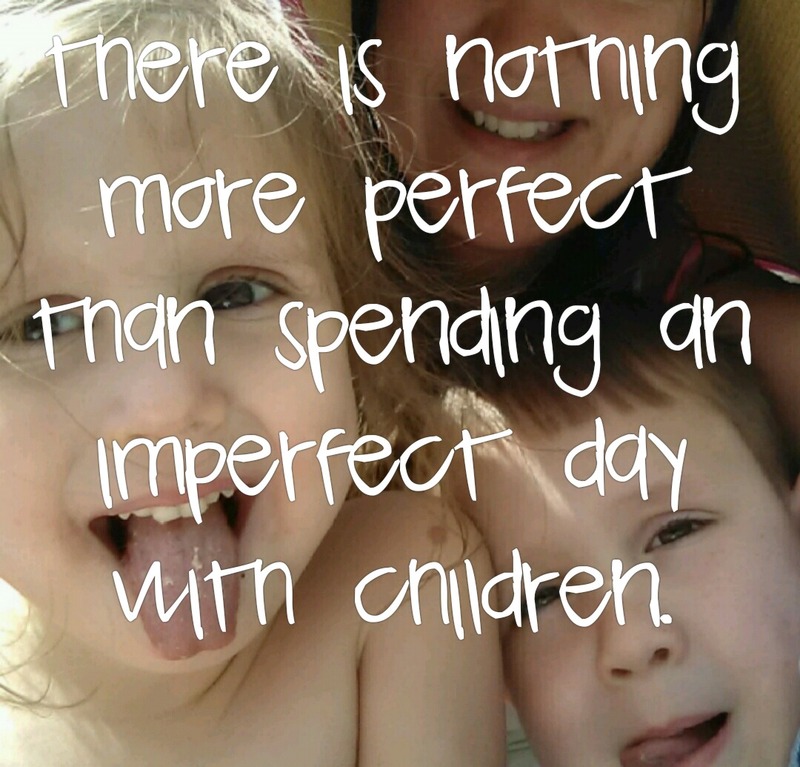 Today was one of those days that mommy had things to do. While the laundry had been washed and folded and even put away there were still so many other things on the to-do list. Today was one of those days that didn’t go as planned. Storms had us inside, frightened children kept chores from being completed. Today my 3 year old crawled up into my lap and buried her head in my chest. I closed my eyes and rested my check on her forehead. When I opened them that’s when I saw it, straight ahead was a sight that made me give a great big ole sigh. 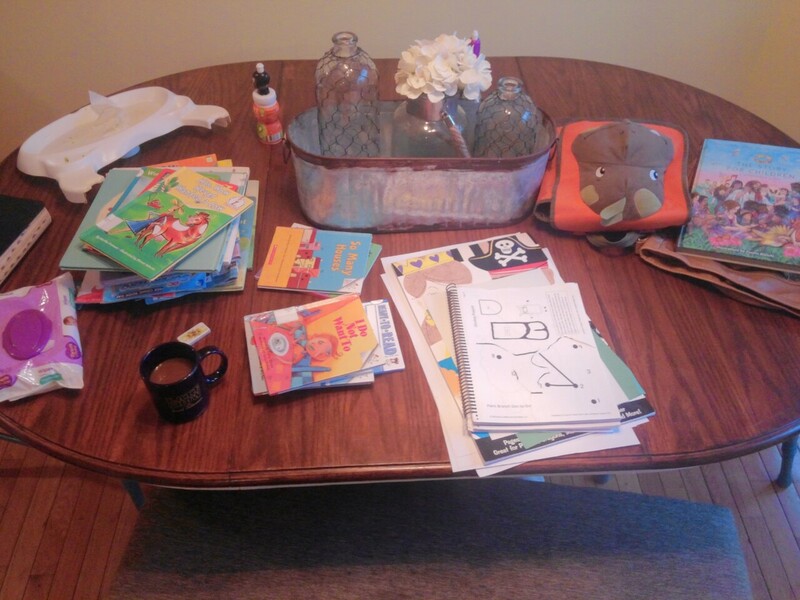 The table was cluttered with more than the eyes could take in. The motivation inside of me to clean kicked in and I almost jumped up to tend to the mess that blanketed the table when my 3 year old clasped her fingers tighter on my arm. I Hugged her tighter and gave my messy table the stink eye. I started to put each thing that didn’t belong back in it’s rightful place in my head. Not sure what that was going to do but I’m never in cleaning mode so didn’t want to lose my momentum. As I categorized and planned my attack for cleaning that table I realized something. I loved everything on that table. I appreciated everything on that table and besides the clutter itself, everything on that table was priceless. That large stack of library books – we get to go and pick through hundreds of books at our local library any time we want for free. My kids love books and they learn so much from them. Wipes – the ability to clean up my disgusting babies in one fell swoop. Adult bible and bible for children – the most important part of our day and sometimes it’s the first thing that goes forgotten or pushed to the side, but not today. Centerpiece – we all need something pretty to look at. High chair tray – this keeps my youngest safe while he eats. Materials for kids crafts – crafts that teach my children how to be creative and artistic and most of all it’s our happy place. Purse – this precious thing holds almost everything I need while I am on the go with all my kiddos. As I looked ahead and had my aha moment, I suddenly didn’t feel the urgent need to clear away all of these priceless things from this priceless table that I used to eat at with my parents when I was little. So I sat and held my daughter until the storms passed. Sometimes it’s okay to look at a mess and appreciate the beauty in it! Finally after years of wanting to make a garden, I finally pulled my big girl gardening boots on and started digging. 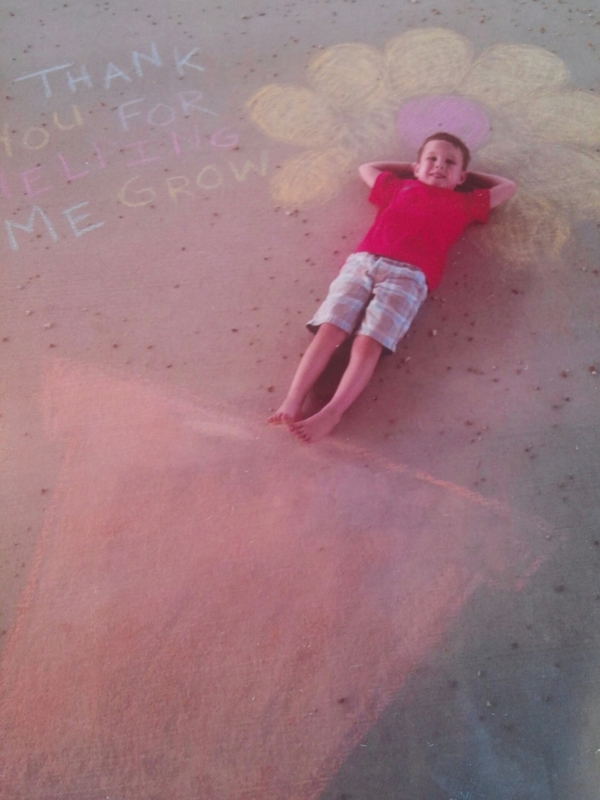 I have my little ones to thank for it. 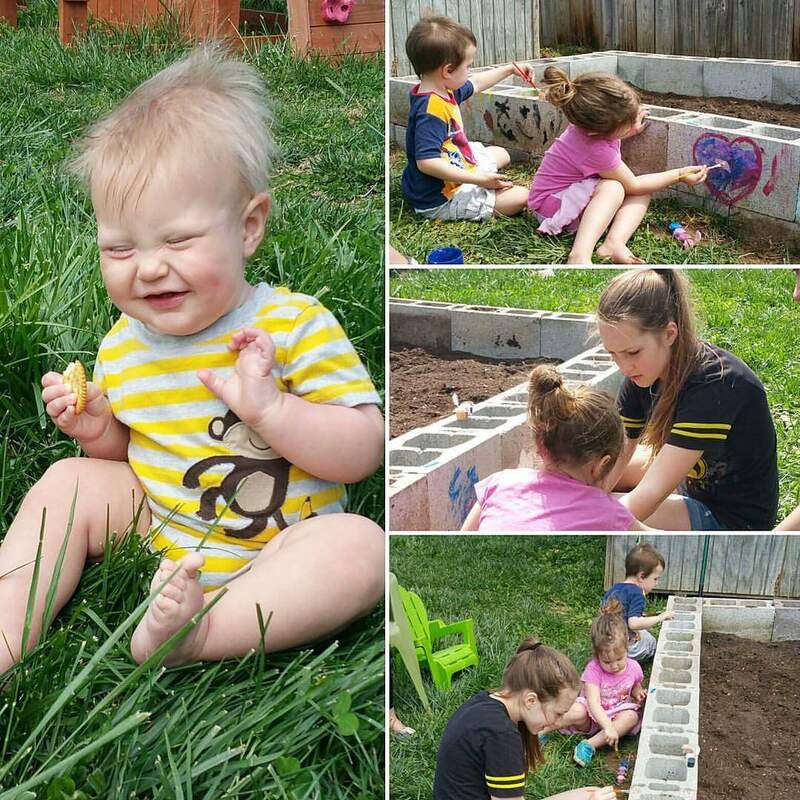 Their little minds can soak up a lot of info and memories helping out with a garden and luckily I have a whole lot of tiny little hands to help me. We’ve got some zucchini, squash, onions, cauliflower(my absolute favorite), peppers, lettuce and will be planting some melons in May. My sister gave us one row of her cement blocks and brought my very crafty niece over to help the kids paint them. Fun all around, now lets just hope something grows! Fun little update because I didn’t get this posted right away. 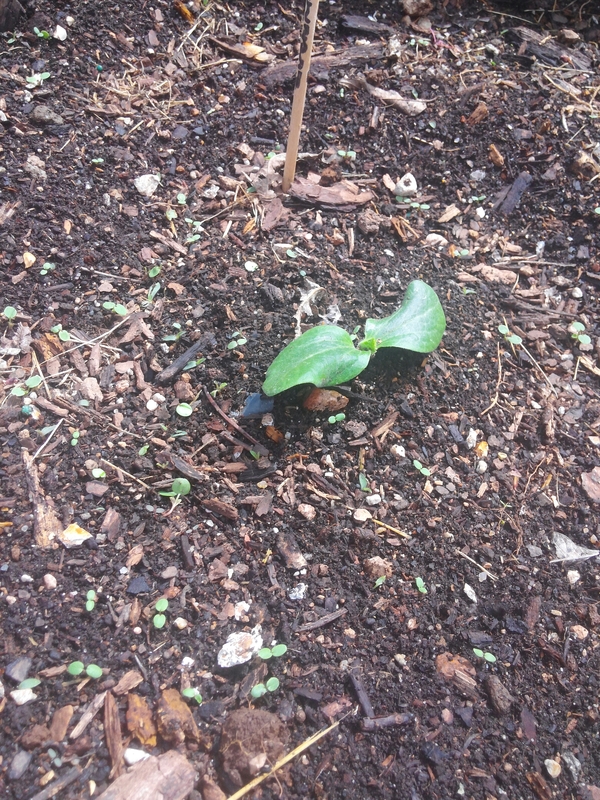 A glimpse of our first little seed sprouting. Zucchini is the only one to break through so far! Fingers crossed for the rest of them!